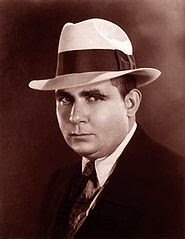 Today is Robert E. Howard's birthday. Another member of the Weird Tales triumvirate (along with Clark Ashton Smith and H.P. Lovecraft) he is at least acknowledged as an inspiration for D&D in Appendix N of the Dungeon Master's Guide and arguably as influential to the fantasy genre as J.R.R. Tolkein. Howard has inspired numerous RPGs, including the Conan RPG by TSR (using the four-coloured table found in the Marvel RPG), Conan: The RPG by Mongoose (using d20 rules), GURPS: Conan and Savage World of Solomon Kane (using the Savage Worlds system). A lot of words have been spilled about 'Two-Gun Bob', his writing and his suicide. While Conan, Kull the Conqueror, Bran Mak Morn and Solomon Kane are what most readers of this blog will remember him for, he was also famous for Westerns, boxing stories and 'spicy' tales. As part of Lovecraft's circle of writing correspondents, he also contributed to the Cthulhu Mythos, creating the Unaussprechlichen Kulten (or the Black Book) and pre-human serpent men (Children of the Night and Worms of the Earth). Wikisource and Wikilivres has several stories for enjoyment. If you prefer audiobooks, LibriVox has several works as does Huffduffer. These sites use public domain laws to publish works which will vary by country. D'oh! I'd forgotten it was his birthday this month! How appropriate, that January is the borthday of REH and of Dungeons & Dragons. Would it not be ironic if, indeed, the first sale of D&D had occurred on January 22, 1974? Still one of the writers who has the biggest impact on my own writing.